I was a voracious reader during my childhood. Sadly, my tastes weren’t exactly literary. I am proud to say I read (and reread) the Baby-Sitters Club, Sweet Valley Twins and Sweet Valley High series pretty much in their entirety. I was also a big fan of Beverly Cleary’s Ramona books and R.L. Stine’s Fear Street series. I had shelves and shelves of paperbacks that I deeply regret garage-saling when I grew too old (too cool?) for such tomes. My very favorite author growing up was Judy Blume. (Who am I kidding? I still love her.) I adored Tales of a Fourth Grade Nothing, Blubber, and Are You There, God? It’s Me, Margaret. I read them repeatedly. But, my favorite of Judy’s, my favorite book of childhood really, was Just as Long as We’re Together. This was the cover I had! So, what about you? What books were you obsessed with as a kid? 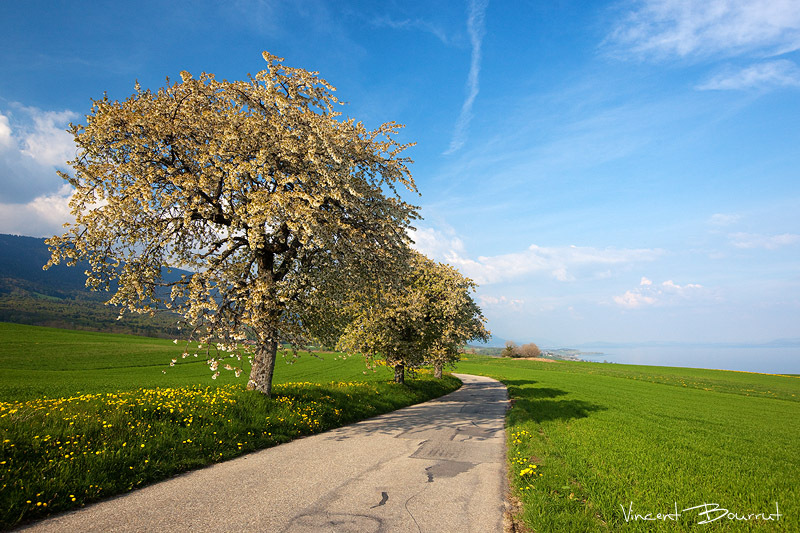 Posted in: Favorite Things, Great Books, ME, Road Trip Wednesday! I second the Sweet Valley love. When I first read the question I couldn’t even remember any books I read as a kid (bad long term memory, me) but you reminded me that I used to love those books. I had a long row of them all in our bookcase and used to go to this bookstore called Bookmarks on the American RAF base near us to buy new ones and archie comics. Good times. Oh and congratulations on getting third place in the Show Me Your Voice contest! Well, we’re clearly from the same generation if we had the same cover. Have you seen the newest cover? It’s all… modern. Pretty though. I love all of those that you mentioned! I was such a fan of Ramona growing up that I begged my mom to let me squeeze an entire tube of toothpaste into the sink, just like Ramona did. (She said no.) And whenever I hear the national anthem I always think of Ramona asking Mr. Quimby what the dawnzerly light was. Oh my gosh! I’d forgotten about the dawnzerly light! Now I’ll think of Ramona too. 🙂 When I was around 8 I used to ask for a haircut like Ramona’s whenever my mom took me to the stylist. I rocked that little haircut! I reread Judy Blume books with my daughter now. And Ramona. And 39 Clues. And Maximum Ride. It’s awesome getting a second chance as a kid – because I don’t remember reading some of them – I may have – just don’t remember. Sad, right?! Thanks, Alison! I’m already rereading favorites with my three-year-old. So far we’ve read Matilda, Ramona and The Boxcar Children (along with lots of Junie B. Jones!). LOL at chartreuse. I love everything Judy Blume’s written. I can’t wait to see TIGER EYES as a movie! Can you believe I’ve never read Tiger Eyes?! I must get ahold of it before the movies comes out! OMG, I had the same experience with Just as Long as We’re Together down to the cover and the book splitting in half. I reread that one constantly. Great pick! I was obsessed with the Three Investigators as a kid. I devoured that series ravenously. First series I was really into. That’s the series that hooked me as a reader. Ooh, I’ve never read Three Investigators. I’ll definitely have to check it out! Thanks, Wes! I read this book SO MANY TIMES. As soon as I saw that cover, so many random details about the book popped into my head. I can’t really remember the characters’ names, but I remember them walking each other home around the lake in their housing tract, one of them freaking out because the other one bought designer jeans, the girls screaming when they saw each other, the teacher dad freaking out about the beginning of school, covering their binders with wallpaper, the cute boy who played soccer. Oh man, I could keep going if you gave me a few minutes. I LOVED THIS BOOK SO MUCH. Now I really want to read it again. What a great choice. Yes, the cute soccer boy with the chartruese jacket! I wish I could remember his name… And I’d forgotten all about the designer jeans and wallpaper binders. I’m definitely going to have to hunt this book down and reread it. Judy Blume rocks the casbah, for sure. Have you checked out her website? She gives the background on what was going on with her life while she wrote each book. I want to hug her (not in the stalky way). Well, if you’re a stalker, I am too. This is why you need Twitter. Judy has it! 🙂 I haven’t visited her website, but now I definitely want to! I never got into Sweet Valley (just didn’t get my hands on them), but I loved Babysitters Club. I read the Narnia books over and over again, and my collection of Enid Blytons still weighs more than I do. Oh, the Narnia books are so fabulous! Classics! I look forward to reading them to my daughter when she gets older. Oh my, I think this may be the only Judy Blume i haven’t READ! I will fix that at once! And while I’m at it, might revisit the others you mentioned too. 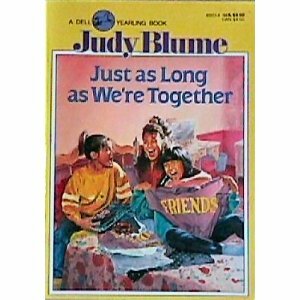 Yes, Margo, read Just as Long as We’re Together… it’s one of Judy Blume’s best! I forgot about all these awesome books. Great choices!